Are we moving towards a future where printed money exists only as a curiosity? As debit, credit and electronic transactions continue to rise, cashless payments have overtaken the use of physical money for the first time. 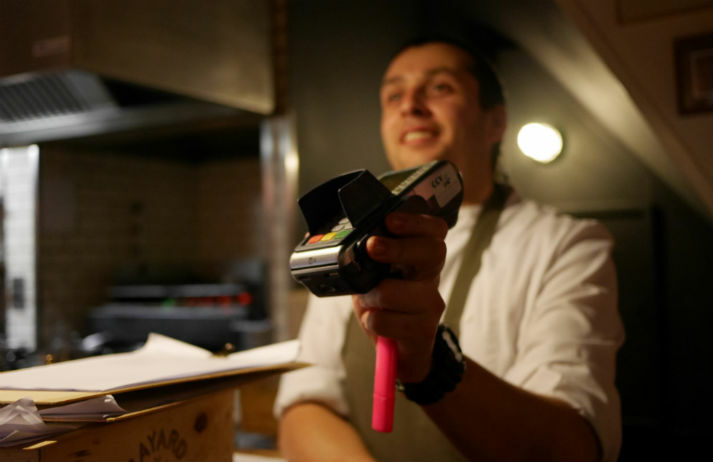 In the UK, cash is no longer the norm, and may soon be the exception. What are you doing when you browse through Twitter? Chatting with friends? Perusing your feed for the latest news story or celebrity brawl? Retweeting a meme? Domino’s now wants the social platform’s 302 million active users to start ordering their pizza from there, too. Whether pinging your colleague a PDF or sending a mate an mp3, email attachments are the norm. And Google Wallet now allows UK users to attach cash to their emails, too. But in a financial landscape rife with privacy concerns, do people really want bank transfers to be as easy as sending an email? Money is emotional. It can be stressful, frightening or – if you have sudden influx of it – thrilling. But can it make you feel physically different? Research from The University of Basel suggests just thinking about finances makes people feel colder than they actually are. Why is banking becoming more visual? How is awkwardness fuelling payment innovations? And just who is wearing a wristband wallet? In our 2014 sector snapshot of Money, we round up the insights and innovations impacting the finance sector over the last six months.